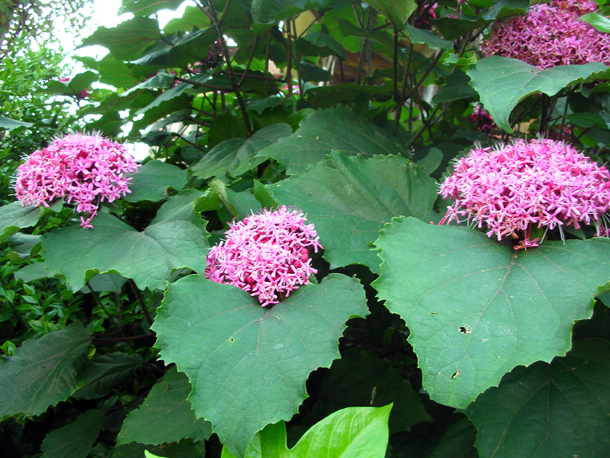 Clerodendrum bungei - A sub shrub with a suckering habit. Its leaves smells like Bovril when you rub it! It is also known as Rose Glory Bower or the mexican hydrangea. It is originally from China & Northern India and is seen as invasive in countries like the States.